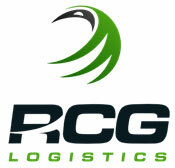 RCG Logistics LLC offers auto transportation services and innovative freight solutions that bring value and convenience to their clients. As a logistics company they offer nationwide service to customers that at times need to have up to the minute location information of their valuable freight. “Our company needed to find a solution to track our truck equipment and provide more accurate updates to our customers. Cell phones provided spotty coverage and when drivers do answer them they often don’t even know where they are. It is great that I am able to locate where they are and where the shipment is. Our customers needed to get more accurate, detailed updates, on demand and the LBT tracking solution is exactly what we needed. LBT’s innovative software, is affordable and so much easier and convenient for us to use.